The adverse biological responses to prostheses wear particles commonly led to the failure of total hip arthroplasty. 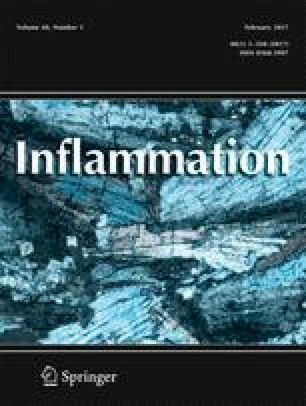 Among the released cytokines, interferon-γ (IFN-γ) has been found to be a critical functional factor during osteoclast differentiation. However, the molecular mechanism underlying the regulation of IFN-γ in wear particles-induced cells still needs to be determined. Four kinds of abrasive endoprosthetic wear particle were used to treat THP-1 cells, including polymethylmethacrylate (PMMA), zirconiumoxide (ZrO2), commercially pure titanium (cpTi), and titanium alloy (Ti-6Al-7Nb), with a concentration of 0.01, 0.05, 0.1, or 0.2 mg/ml for 48 h. The expression of IFN-γ and miR-29b was detected by real-time RT-PCR or ELISA. Luciferase reporter assay was performed to determine the regulation of miR-29b on IFN-γ. The effect of miR-29b inhibitor on the expression of wear particle-induced IFN-γ was detected. The expression of miR-29b was examined in THP-1 cells treated with tumor necrosis factor-alpha (TNF-α). The expression of IFN-γ was downregulated and the level of miR-29b was increased in THP-1 cells pretreated with wear particles. IFN-γ was a target of miR-29b. Wear particles inhibited the expression of IFN-γ through miR-29b. The expression of miR-29b was significantly reduced in THP-1 cells treated with TNF-α neutralizing antibody and particles comparing to that in the cells treated with particles alone. Wear particles inhibit the IFN-γ secretion in human monocytes, which was associated with the upregulating TNF-α-induced miR-29b. The authors declare no actual or potential conflicts of interest.